It is said that things only change when something hits a politician personally. Looks like that just happened when one of the soldiers Price Harry served with committing suicide. Now the Daily Mail is trying to do something about changing the story from tragedy to offering hope of healing. Warrant Officer Nathan Hunt is believed to have tragically died last week. It is said he struggled to cope with the effects of battlefield trauma. Since then two more members of Harry's desert reconnaissance unit have revealed they also suffered with serious mental health issues. The Mail on Sunday have launched a campaign to support them. 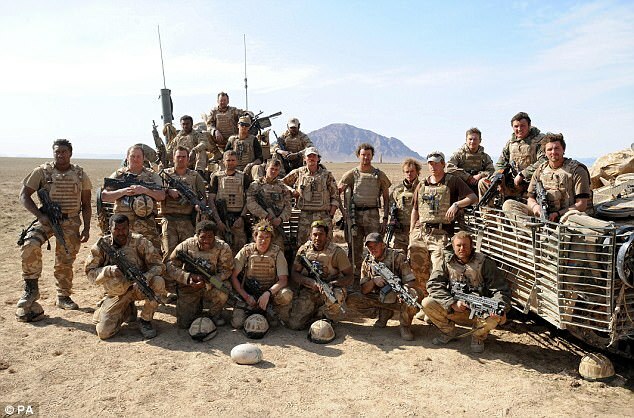 This is the elite band of brothers, including Prince Harry, that were sent on a top secret mission to take on the Taliban in one of the most dangerous areas of Afghanistan. Last week, The Mail on Sunday revealed how one of the courageous soldiers pictured here, Warrant Officer Nathan Hunt, is believed to have tragically killed himself after struggling to cope with the effects of battlefield trauma. Since then two more members of Harry’s desert reconnaissance unit have come forward to say they too have suffered serious mental health issues as a direct result of their harrowing experiences in the war zone.